Pay4 is a revolving credit facility, used to fund a company’s supplier payments. 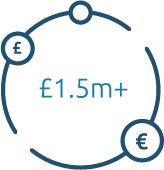 Pay4 is a flexible revolving credit facility, which can be used to fund a company’s UK and international supplier payments. 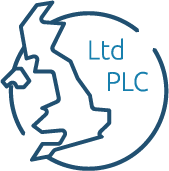 The facility is made available to creditworthy UK businesses and accessed via an easy to use online platform. No security is taken over the company’s assets, so the facility works well alongside other forms of finance and you only pay for the facility when you use it. 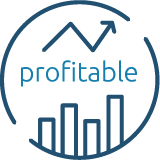 Having more liquidity within your business on a long-term basis opens up a range of exciting possibilities. Paying suppliers upfront doesn't affect your cash flow when you finance your supplier payments. Prompt payment discounts easy to negotiate because you use Pay4. Extra working capital makes it easier for you to offer extended credit terms to your customers. This can help you win high value customers. Tendering for larger contracts that would otherwise stretch cash resources becomes possible thanks to Pay4. Stock levels can also be increased to meet the demand of larger customer orders. Scale-ups invest in supply chain optimisation, market research, innovation and production changes. All of which require flexible, readily available working capital.